As soul-crushing as the news of NBC's decision to cancel Constantine was after a shortened season of thirteen episodes there is still a flicker of hope. Reportedly the show will be shopped around to various networks for pick-up. There's no guarantee it will be saved, but the fan response has been enormous making #Constantine and #SaveConstantine trend nationwide since the news broke. While creator and producer Daniel Cerone looks for a new home, he's pleading with fans to keep streaming and watching to fortify their pitch at new outlets that Constantine has a loyal audience built in. Celebrity fans are also chipping in trying to sweeten the deal for any network or offer support. Arrow's Stephen Amell is offering to guest star and Supernatural's Mark Sheppard tweeted his support. Coincidently, both stars, are from The CW network and it seems like the popular destination for the show from fans online. 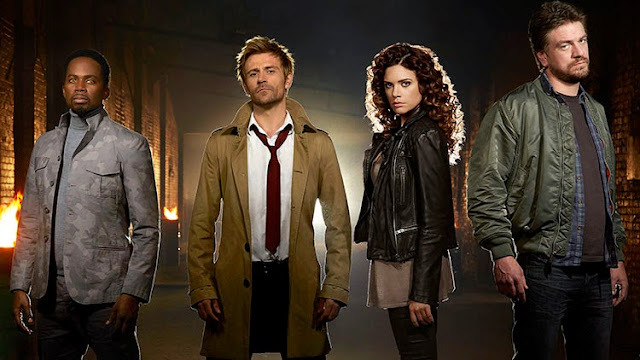 So NBC canceled #Constantine maybe we can all ask the @CW_network to have a look? Like many of the CW shows, Constantine is also adapted from a DC Comics imprint and would fit right in with the other comic book-based shows like Arrow, The Flash, iZombie and the upcoming Legends of Tomorrow. However, it could most easily be paired with another supernatural drama like, what else, Supernatural. With it, Constantine could bring along almost 5 million viewers which would make it the most watched show on the CW.